A series of comedy bits, loosely connected by dice rolls. Join a well-meaning barbarian, a mysterious druid, and an orphaned halfling child as they try to figure out the world they're in. Four friends play a game of Dungeon World. 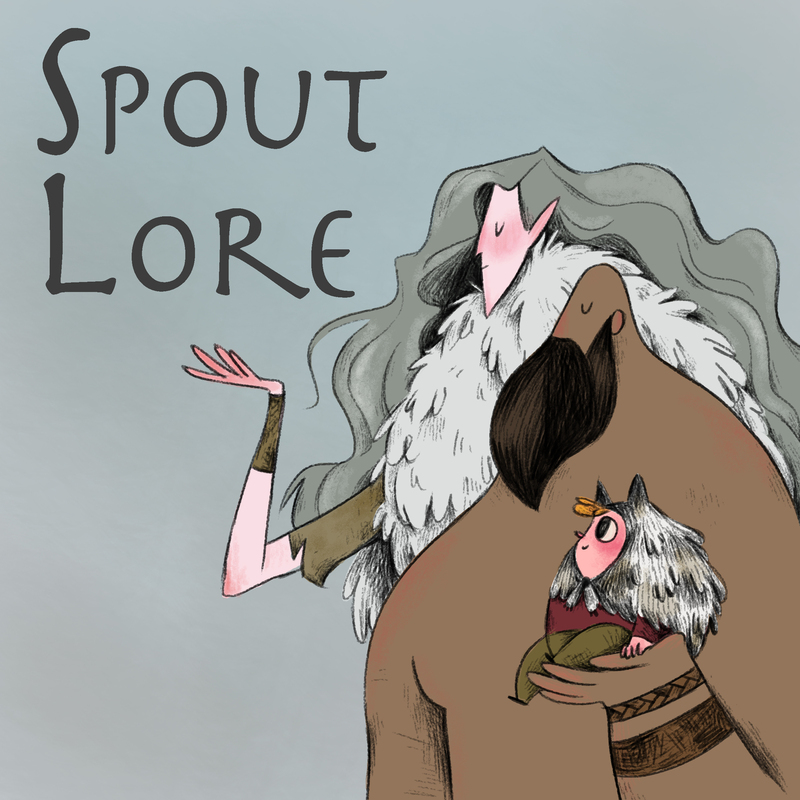 Join a born-again barbarian, a shape-shifting druid, and an orphaned halfling child as they try to figure out the world they're in. It's a busy day in the village of Mudlark, with preparations for the Hot Dog Festival in full swing. The gang make a bunch of new friends, and they don't let being bad at one job stop them from trying to get another. Things aren't going smoothly in Mudlark. Luckily(? ), Tuk, Ving, and Fat Billy are on the job. We also respectfully learn little a bit about an imaginary foreign culture. The party appreciates architecture and fine food. Also, they accept yet another job. With more employers than they can probably count, the party hits the road in search of Emperor Morgulch. The party takes a crash course in diplomacy. Emphasis on the word crash. The party takes a break from municipal matters to enjoy Mudlark's famous Hot Dog Festival. Featuring special guest Kyle Bottom! The party levels up their characters between sessions. The party stops for a round of drinks at The Wallowing Sow, and the service is only slightly better than last time. Special, extra-length, bonus, prequel episode. Finally, the surprising identity of Muckraker is revealed! Okay, maybe it's not that surprising, but we do take a minute to clear a lot of things up. It's a long way out of the swamp. 2-2 - Ransack! Ransack! Ransack! A river is crossed. Not a metaphor. Sometimes it can be hard to get to sleep. Especially when Tuk is calling your name to save you from the dark. If you can't handle me at my gator attack, you don't deserve me at my murderous fugue. Tuk's dream of acquiring armour quickly turns into a macabre nightmare for the villagers who get in his way. Billy takes a couple of naps. Billy steals food yet again, Tuk attacks yet another tree, and this time it's Vyng's turn to scare the crap out of one of the locals. Featuring surprise(d) guest Sophie Buddle. Brought to you by Capri Sun. The long journey to Highspear for answers begins. Also, welcome to our new player Mark. We don't meet his character yet, but that will probably come soon. The gang enters a city, a mall, an office. This summer, some of us are coming to a Fringe Festival near YOU! Shawn O'Hara in Field Zoology 101! 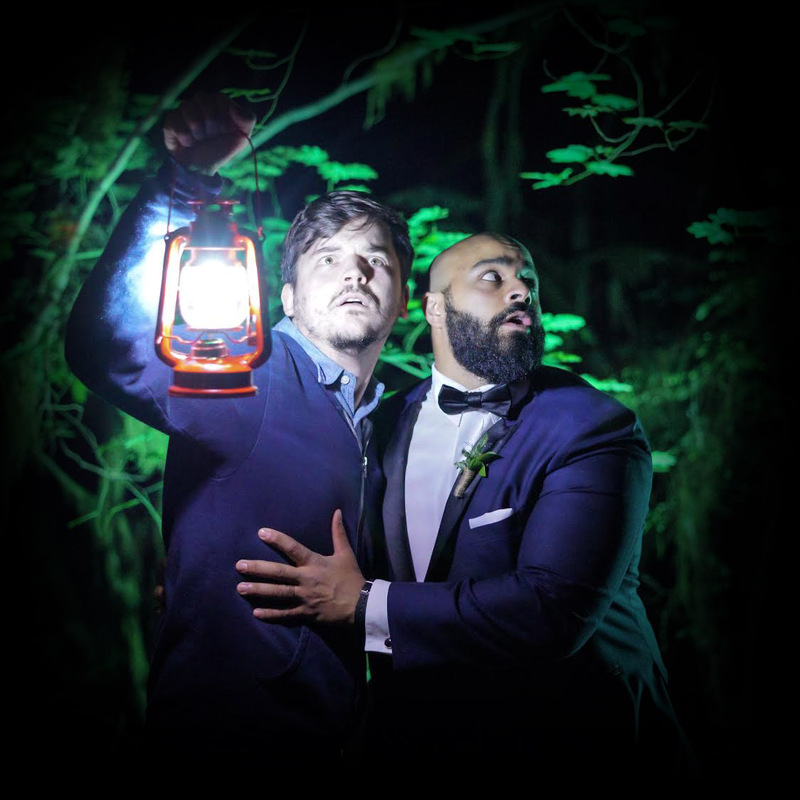 Shawn and Abdul in Fake Ghost Tours! Mark Robertson (and friends) in Ratfish Comedy! Visit https://spoutlore.com/dates for more details and links to tickets. Seathan deals with a bee problem. But aren't the bees just a symptom of larger systematic issues with the justice system? Tuk and Billie get some new clothes and travel to Yesterland. Getting new photo ID is always a hassle. Always lots to learn at the mall. You know the day destroys the night, night divides the day. Lost in the one tree forest, in the dark, with a big glowing fish. A very important Halloween announcement, for Gastown residents ONLY! Wait, no, it's a very important Halloween announcement... for EVERYBODY. How do you like them wapples? The ghost root finally kicks in. You hear buzzing deep within. A long walk through the spirit realm. The spirits help Vyng make his way off the Mountain and into the Plains. The spirits help Vyng make the trek through the dangerous domain of Wasp. Vyng and the spirits finally encounter the infamous Wasp. Our intrepid heroes finally reunite with their lost friend. After finally being reunited our daring heroes must escape the lair of Wasp. In the season finale, the party makes the long trek home and a sacrifice is made along the way. As the party returns to the Highspear Mall they find themselves having to settle some old accounts. The gang takes yet another job from the Menders, and also takes way too long to leave a mall. A few days on the road gives the gang a chance to reflect and relax while leading them straight into a crippling logistical problem.